Nina H. Dereska, M.D., is fellowship-trained and board certified in female pelvic medicine and reconstructive surgery and obstetrics and gynecology. Urogynecology combines expertise in urology and gynecology to provide women with comprehensive care for conditions such as prolapse, incontinence, pelvic pain and other pelvic floor disorders. As women age, they can experience pelvic issues that disrupt daily living. Dr. Dereska’s years of experience and advanced training can help restore a woman’s active lifestyle. She thoroughly reviews treatment options with each patient that include medical and surgical management of pelvic floor dysfunction. Dr. Dereska often utilizes medical robotics for surgical cases that help minimize pain, hospital stay, blood loss and scarring. Her goal is every patient’s goal – to get you back to your normal daily activities with your family and friends. In addition to providing compassionate patient care, Dr. Dereska is an assistant professor at McGovern Medical School at UTHealth. I would highly recommend Dr. Dereska for pelvic prolapse surgery. The doctor explained step-by-step of each potential treatment and procedures. Dr. Dereska has always been caring, offering suggestions on different products and always displays kindness. I have a very good experience with my appointment with Dr Dereska @ staff. I was referred to Dereska by a fellow patient and good friend. She has an amazing bed side manner and is a phenomenal surgeon to boot. Glad I quit putting my medical problem off. *Dr. Dereska explanations my problem and condition. I can't even begin to tell you how happy and pleased I am with Dr. Dereska! I love her bedside manner! She is very caring, compassionate and informative. I have nothing but great things to say about her! Very, very pleased with her and her staff. Her office is ran like a well oiled machine... everything flows smoothly. I have already recommended the provider and staff. I have heard many good thing at *Dr. Dereska for several years and have wanted to see her but due to her not taking my insurance I did not go - After hurting for two years I decided it might be worth it to see her - What a miracle. She gave me hope and a future to look forward to - Words cannot say how I feel about this doctor. *Dr. Dereska really took her time to explain the procedure, etc. Very thorough. Dr. Dereska is one excellent provider who is very active in my health and I trust her expertise in her field and her open attitudes to find the best solutions to giving me a healthy lifestyle. she is amazing as are her team. 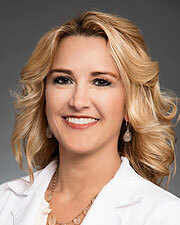 *Dr. Deresha is extremely kind personable & knowledgeable w/her specialty. Described things in layman terms and made me feel comfortable about the not so easy things to talk about. Very good experience one of the nurse went out of her way to get a referral for me from my doctor. it shows that they care about their patients. Wonderful staff. Dr. Dereska was wonderful. She explained the procedure I was about to have thoroughly and after she explained what my treatment will be. She was very kind, caring and knowledgeable. Very quick and to the point without making me feel rushed- friendly, knowledgeable, and willing to hear and discuss concerns/questions. Almost no waiting time in the exam room was also a plus! This dr. was superb! Very smart and caring dr. will definitely recommend her. The dr. & her staff were the best! Dr. Dereska was very thorough, friendly and provided detailed information concerning my issues. *Dr. Dereska is an amazing doctor and surgeon. I have recommended her to several people. She corrected surgical errors, that other doctors made. This was my first visit - very comfortable with it - but too early to judge. I have great confidence in Dr Dereska. we talked about my condition at length and decided that surgery is necessary. Then she discussed with me the manner in which it would be done.